Mark from Jackson’s was superb from start to finish. We swapped from Holland House in Malvern who couldn’t give us the funeral we wanted. Mark was so good on the phone when I first approached him with my dilemma. He arranged everything with Holland’s, moved my mum that day, came to my house the following day to discuss all the arrangements, continued to be in touch regarding music and plans, organised everything brilliantly and charged £2000 less than Hollands. We appreciated his personal and professional touch, and having the same person from start to finish. Mark and Mathew looked amazing at the funeral too. Thank you for helping us give mum the best send off ever. My dad had a very simple direct cremation . I felt that the whole thing was handled sensitively and with respect. Matthew and Laura Jackson provide independent funeral care in Upton-upon-Severn with a focus on looking after the people at the heart of their local community. They are on call 24 hours a day to help and support families at a very difficult time. 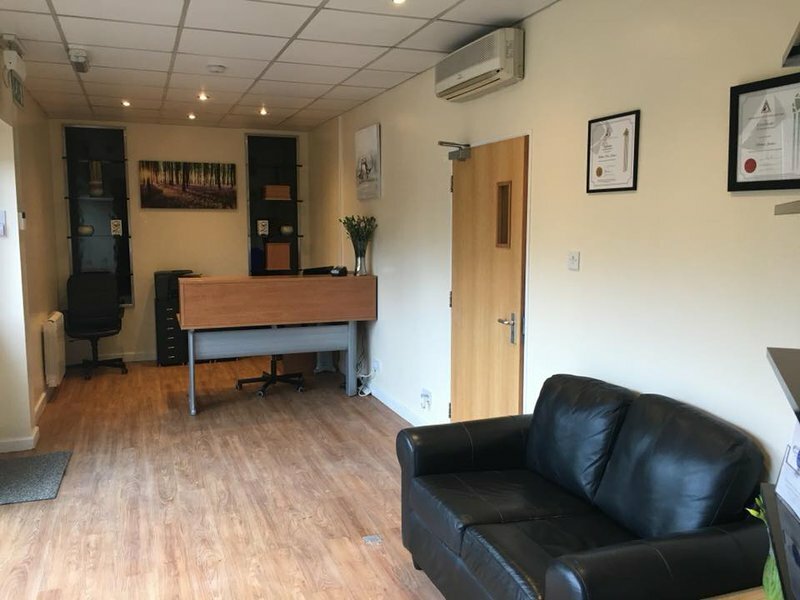 Jacksons Family Funeral Directors’ comfortable and contemporary premises provides a private and reassuring space to talk about your loved one and their funeral arrangements. 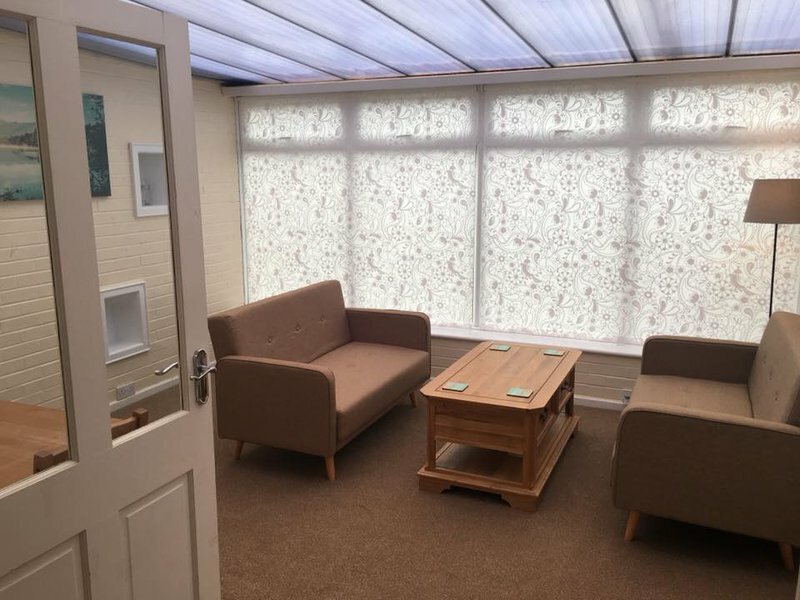 It has on-site facilities to look after people who come into their care and a tranquil chapel of rest for families wishing to spend time together before the funeral. 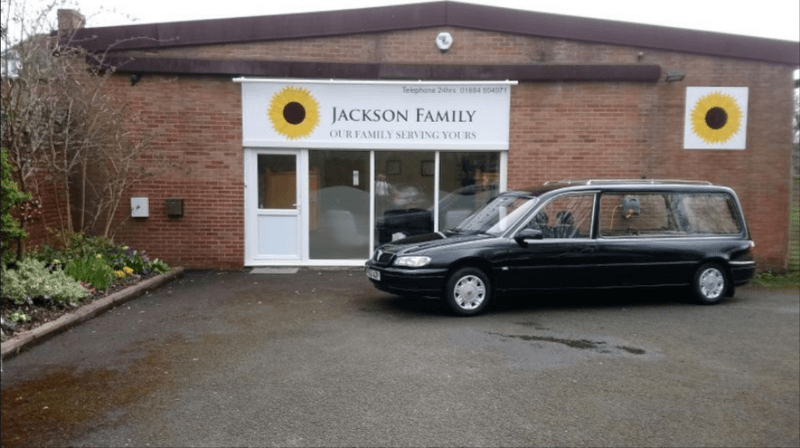 On-site parking makes Jacksons Family Funeral Directors conveniently accessible, while experienced funeral director Matthew Jackson is also happy to arrange a home visit to support families through the funeral arrangements. Online support is also available for families arranging a loved one’s funeral in Upton-upon-Severn, Worcester, Malvern or Tewkesbury. 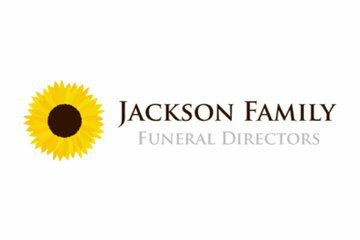 Jacksons Family Funeral Directors is a member of the National Association of Funeral Directors and of the Association of Green Funeral Directors. Listening to families and helping them through the funeral arranging process, Matthew and his caring team support families to plan a funeral that reflects their loved one’s life, beliefs and values, whether that’s a traditional service, green burial or direct cremation. As parents, Matthew and Laura cannot begin to imagine the loss of a child and provide their funeral care at no charge to families grieving a child under the age of 16. The only costs will be from any third party that makes a charge and families are supported to be as involved in the funeral planning as they feel able to and comfortable with. Committed to supporting families in Worcestershire at a very difficult time, call Jacksons Family Funeral Directors for respectful and compassionate support when it is needed most. Matthew and the team at Jackson's made my Dad's funeral a very special day. They took their time to make sure everything was right for us. Their office is set in beautiful surroundings. Important when you need some peace and tranquility. Would thoroughly recommend them. Helpful in every way. Would have no hesitation in recommending them. Great service and helpful at this sad time! Thank you Valerie for your very kind words. It was a beautiful service with so much personal tributes from the family. They treated my mum with respect all the way through and we’re very caring and helpful. Thank you all. Thank you for your kind words Lindsey, hope all went well following our chat, if however you need any help please do call us. Thank you for your kind words David. It was an honour to look after your mother and glad everything went well for you and the family. The church service was lovely. Made the whole process run very smoothly, can't thank them enough for everything they did. Thank you Lawrence, knowing your mum's wishes beforehand allowed everything to be arranged smoothly (even with the challenges she set us). All our best to you and your brother. Very efficient and caring. Will use them for my own disposal! Thank you for your confidence in our services David, best wishes to you and your family. A very professional and kind service from first contact. Thank you very much for all the help and information and for making a very stressful time as hassle free as possible. From the very beginning to the end Matthew has been so kind and understanding of our wishes and needs. His professional approach and calming manner to everything has been such a help throughout our very difficult time. I will highly recommend Jackson Family Funeral Directors to everyone. Thank you so much Matt for looking after Pete so well. The service and support that Matt and everyone at Jackson Family Funeral Directors gave to my family was exemplary, both personal and professional. Having never arranged a funeral before, I really appreciated their support with dealing with some of the formalities. I am also grateful that they managed it all on such a tight schedule. Very helpful, professional and accommodated all our wishes at this sad time. Would happily recommend them to any-one. Very grateful for all their help and sympathy. Thank you for the review Rosemary. I was so happy that Mark and Jenny could be part of the day, as it is always easier for you when you personally know them. Best wishes to everyone, Matt. Just perfect. Every attention to detail. Kind, caring, considerate, professional. Thank you all. Matthew and his team were very sympathetic, understanding and nothing was too much trouble. They made what was a very sad time for my family a lot easier with excellent their communication and professionalism. I would highly recommend Jackson Family Funeral Directors. Dear Amy, thank you for a lovely review and we are glad we could help your family. Send our love and best wishes to the rest of the Holden family, Matt. I have already written regarding the excellent service provided by Family Jackson services, cannot fault any part. Many thanks again to Matt . Thank you Grant for your kind words and for taking the time to offer a review. Kindest regards, Matt. Jackson Family Funeral Directors, Upton upon Severn will provide you with a free obituary as part of their service.